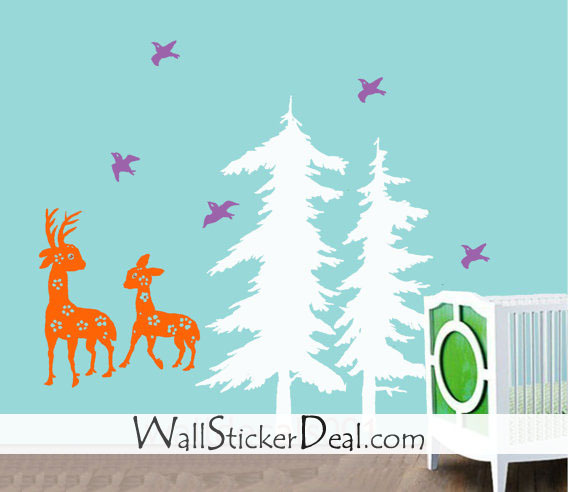 Birds Play with Deer around Pine дерево Стена Stickers. WallStickerDeal.com is a leading online store committed to becoming the best reliable marketplace on the net by offering superior customer services, worldwide shipping and variety Стена stickers.. Wallpaper and background images in the Главная Decorating club tagged: decor home decorating. This Главная Decorating photo contains знак, плакат, текст, классной доски, and доске.